Yesterday we spent the day at the Hook, Pleasure Point and Capitola. The surf was building here, much larger than what we were experiencing in Ventura this week. 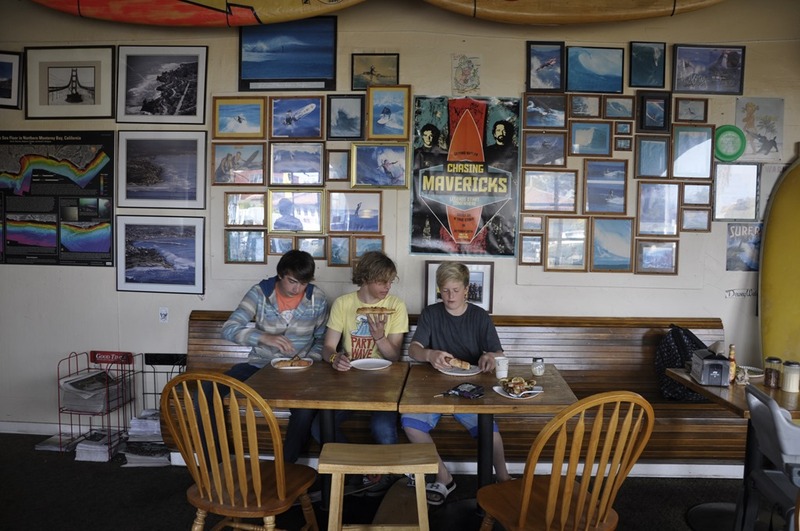 The locals were surprised that we’d throw the groms out in it. Oh Ya! 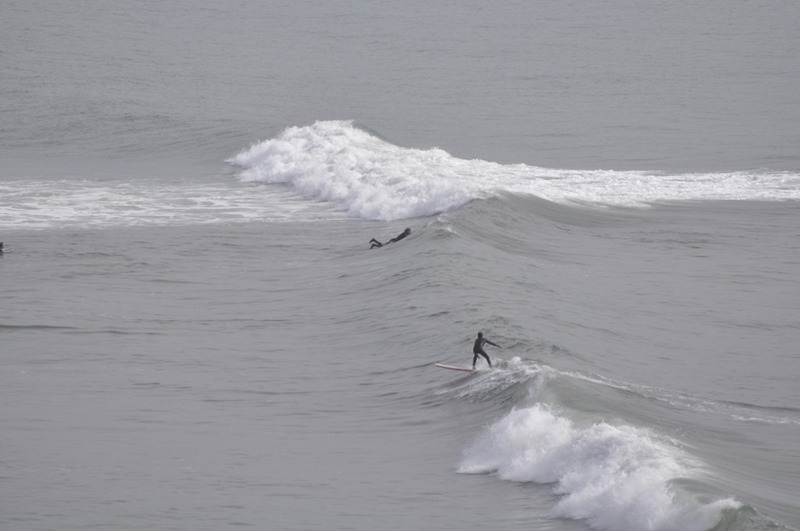 A bit bigger wave, one at a time, is still easier than what we face at our local spots on the Central Oregon Coast. Here’s one of Jonee at Capitola. Every shop we ventured into had the Mavericks playing with live stream. It made for an exciting day. 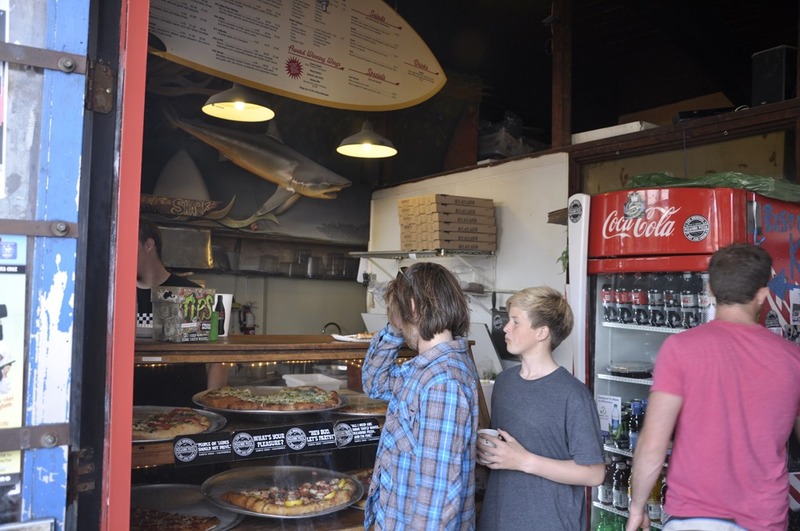 Jon’s one request was to find Pleasure Pizza and stand where Jay Moriarity was, and eat their pizza. That was maybe one of my favorite requests of the week. 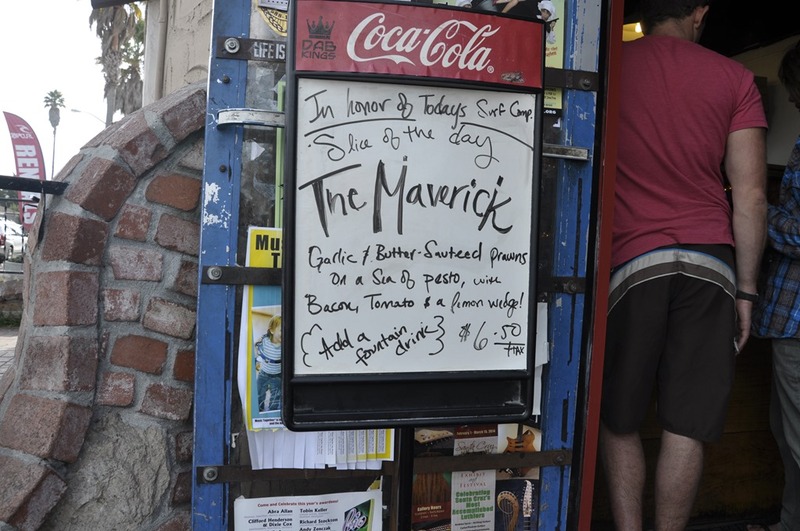 We ordered The Maverick, in honor of the day, and of the Chasing Mavericks movie that Jon is such a fan of. We got to talk to the staff. They are so kind and excited for crazed fan tourists like us. They sent us over to their East Side Eatery to meet the owner. He chatted it up with Jon quite a bit and Jonee was surprisingly speechless. He can go on and on about Jay and Frosty and Pleasure Pizza, but standing in front of someone connected – he went silent. Kind of funny. First of all – it was SO yum. I had my doubts on the shrimp, but it was delightful! The whole experience was great. You know when you anticipate something, look forward to being there and experiencing it for the first time, and you pump so much into it? And then it is mildly to overwhelmingly disappointing? Ya, This wasn’t that time. Pleasure Pizza was Fantastic!!!! 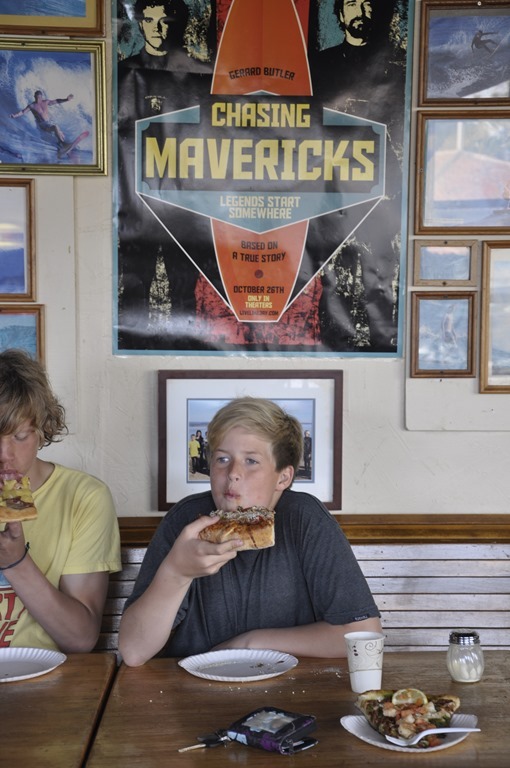 This entry was posted in Beach Schooling and tagged Chasing Maverics, Fan, Frosty, Grom, HomeSchool, Jay, Obessessed, Pleasure Pizza, Surf. Bookmark the permalink.